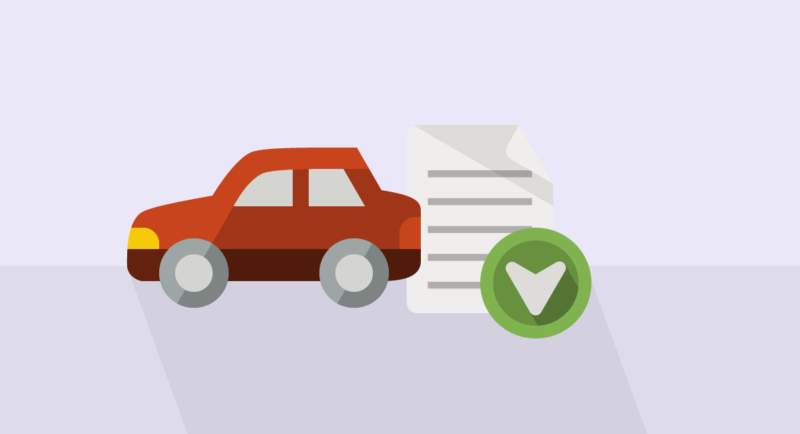 Home>Articles>What Happens if You Don't Pay Your Insurance Premium for Your Car? It is widely accepted that failing to pay your bills can impact negatively on your life. But what are the repercussions of allowing an insurance payment to lapse if you drive? Exactly what happens if you don't pay your insurance premium for your car? Firstly, let’s explore how car insurance works because it operates differently from other essential bills. Insurance providers pay for expenses related to accidents that occur while drivers are insured and the process used to take payments can involve upfront costs. Auto insurance companies will usually take a deposit of one month or more in advance so that they can provide adequate cover in case an accident happens and you need to make a claim. After that, the driver pays their premium on a monthly basis. Some policies allow you to pay for your entire six-month policy in advance, saving you money. Once your deposit is paid, what happens if you don’t pay car insurance? If you miss a monthly payment you will be notified by your vehicle insurance provider to let you know that your policy will be canceled if you fail to settle your account by the deadline stated on your notice. The reason auto insurance companies cancel policies reasonably quickly is that they don’t want to insure someone who has not paid for their plan. If your policy is canceled, you could face fines and penalties if you are caught driving. If you are involved in an accident and found to be at fault, you will be forced to accept personal liability for related expenses instead of your insurance provider. Different states assess fault in different ways, so you should familiarize yourself with your state’s laws. Please be aware that insurance companies are very strict with their payment notification dates. Always check your due dates carefully. If you fail to pay your bill and miss the demand date, you do so at your own risk, as your policy will usually be canceled immediately. What Happens if You Don’t Pay Your Insurance Premium for Your Car? The outcome of what happens if you don't pay your car insurance premium for your vehicle is that future payments will increase. In addition to your policy being terminated, when you look to buy another policy you may be placed in a high-risk driver category which incurs a higher premium price than those who have constantly maintained their payments. This is because they are considered likely to fall behind with payments again in the future. Another example of what happens if you don't pay your insurance premium for your car is that if leasing or borrowing money to pay for your vehicle, you may be transferred to specialty insurance that is outlined in the small print of your lease or lending contract. This alternate insurance is not optional for drivers who have failed to pay their bills and provides less coverage at a much higher rate. It is explicitly designed to benefit your leaser or lender and offers you less protection. If you have had your auto insurance policy canceled due to nonpayment, it is vital to buy new car insurance as soon as possible. The more people drive on the road without insurance, the higher the likelihood that a crash will occur while they are not covered. This can result in considerable expenses. Even if an accident doesn’t happen, you can still incur substantial fines and penalties when caught. Some states do not allow people to register their car without a valid auto insurance policy. Changing your limits and deductibles. Making sure that you have the right amount of coverage. Driving an older car for a period until you become a low-risk driver once again. Looking into all of the discounts that you can qualify for. Each of these methods can help you save money on your policy, and many of them also benefit those who are not high-risk drivers. The best solution to lowering your rates after becoming a high-risk driver is to work towards changing status back to low risk. If you can maintain your auto insurance coverage for at least six months, have a good driving record and resist making any claims, your car insurance rates will naturally decrease over time. However, there is no way to better protect yourself than to pay your bills on time in the first place. Take the time to shop around and compare policies. This website has all of the tools that you need to find the best prices available. Consider each plan by viewing side-by-side, and if you have any questions, please don't hesitate to reach out or utilize the site to find the answers. And above all, drive safe! If you have a lapse in car insurance, and you are borrowing money from a bank or finance company to purchase your car, there will be a section of your loan paperwork that explains what will happen if your coverage lapses. You could be required to get force-placed car insurance, which is drastically more expensive, and does not protect you as much, if you do not meet the requirements of your loan. Even if you are not getting a loan, you may be placed into a high-risk car insurance category when you go to buy insurance again. This can also create a high increase in the amount you pay for your car insurance premium. If your car insurance lapses, you will want to make sure not to drive your vehicle without insurance. Getting into an accident or getting a ticket without insurance will not only make the situation more complicated, but can also result in a number of other expenses and be drain on your wallet. It is also a good idea to contact your automobile insurance company, as they may reinstate your policy. Each car insurance company has an amount of time, a grace period, before your rates will go up. Prices can go up, even if the car insurance provider is willing to reinstate your auto insurance policy. Not having insurance for months can lead to a significantly higher rate. Saving money can come from comparing car insurance rates. Get free online quotes, and talk to car insurance agents in order to find the best prices on car insurance for your needs. You may want to explain the lapse if there is a legitimate reason for it, and make sure to look for car insurance discounts to help save money. To save money while you wait for your insurance rates to go down, you may want to drop certain coverages on your vehicle. Take care to still get your state's minimum requirements for car insurance, and also keep in mind that there is a risk to dropping certain coverages on your vehicle. Another thing that you can do to help save money is to raise your deductibles. If you can, make sure that your deductibles are still affordable in a bind. Getting into a car accident is still a lot more expensive than paying for a higher deductible. Many people choose to drive a different car, one that is less expensive and will cost less for automobile insurance. They may also be able to share a car insurance policy with someone living in the same household that they are. This can be another way to have insurance for six months straight. Often, having a valid insurance policy for six months will remove you from the high-risk driver category (in cases of insurance lapsing), meaning your rates will likely go back down again.